In 64-bit versions, programs can take advantage of larger amounts of memory, performance can benefit from extra storage spaces called registers on processors, and some mathematically intense computing tasks can run faster. But along with issues such as broken plug-ins, 64-bit software can hog more disk space, complicate programmers' testing and support chores, and often doesn't really run appreciably faster, so the transition isn't necessarily a top priority. 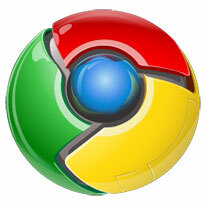 Too bad Google Chrome isn't really popular on 32bit Windows, what makes Google think it will be popular 64bit linux? It sorta is. And why 64-bit for linux. They more need a 64-bit for Windows. More people use Windows! PcBoyGeorge wrote: It sorta is. And why 64-bit for linux. They more need a 64-bit for Windows. More people use Windows! But really how many users are on 64-bit linux compaired to 64-bit Mac or Windows! Google are just being mean now, If they hated mS so much they would not even release chrome. borkgonsam wrote: Too bad Google Chrome isn't really popular on 32bit Windows, what makes Google think it will be popular 64bit linux? What the..... Who says Google Chrome isn't popular... what world are u living in dude??? Its the most popular browser after Firefox!